Golfer. Coach. Magician. Comedian. Emcee. Speaker. If your driver has you playing banana ball, you might bag it in favour of your 5-iron off the tee. Stuck in the cabbage? 150 yards out? Yep…trusty 5-iron to the rescue. Heck, you may even use it to hit bump-and-run style chip shots around the green or punch out from under the trees. 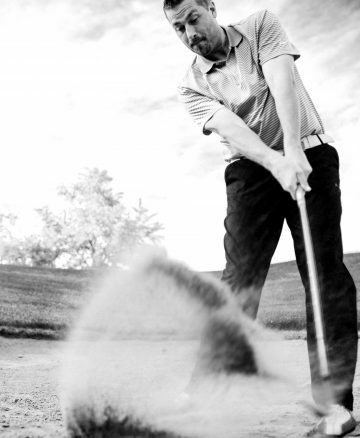 Bottom line….the 5-iron is versatile; for many, it is their go-to club in any situation. Trevor Moore is just as versatile. He is fun without being brash. He is professional without being boring. He is inspiring and informative yet still remains entertaining…you can always count on hearing a fun analogy or two when Trevor is around. 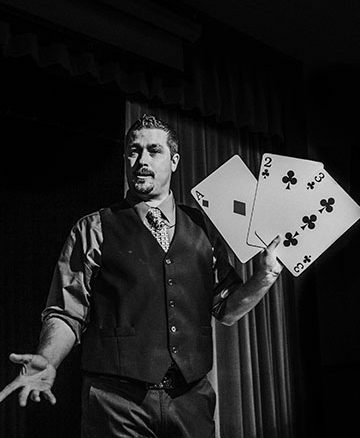 He is every bit as comfortable performing sleight-of-hand magic or coaching small groups and individuals, as he is on stage speaking in front of thousands. As a corporate entertainer, entrepreneur, speaker and coach, he has worked all over Canada and has appeared on live television. Trevor Moore IS your Corporate 5-Iron. Trevor Moore is an award-winning professional entertainer and coach, who specializes in a unique blend of sleight of hand magic & comedy. His slick hands, subtle sense of humour and curiosity in the world around him, were sharpened during the many long bus rides he endured as a typical Canadian hockey kid. He is a proud member of the world-famous International Brotherhood of Magicians, the Society of American Magicians, and the Canadian Association of Magicians. Trevor Moore is an award-winning coach who employs a dynamic skill set when mentoring people toward their personal goals. Whether on a golf course, in a hockey rink, on stage at a conference or at an office desk, he believes in helping people understand their tendencies, physically, mentally and emotionally. 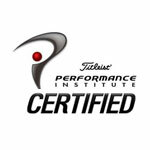 He is a proud PGA of Canada member, sport and life coach, television host and writer, who helps individuals, teams, organizations, top-level amateurs, college athletes, professionals, and recreational players strategically chase their goals.